Does she climb the drapes? Fight with a pet/child in the household? "Go" outside the box? Have separation issues? Claw at the company? Through simple to implement, no-nonsense behavior modification plans, designed to help you to improve your relationship with your cat and keep you happily together for life, the Cat Sleuth helps you to solve the mystery that is your cat. Consultations can consist of one phone call or several visits to your home, so you'll need to contact the Cat Sleuth for an evaluation of your needs. Rates are determined on a case-by-case basis. Please contact the Cat Sleuth for a quote. The Cat Sleuth's cat sitting services are customized to the needs of your cats with special attention to her normal routine; each 1 hour and 15 minute visit includes plenty of time for play and socialization... because your cat deserves to be treated like one of the family. $35 per day (1 hour and 15 minutes); if two vis its per day are desired, the second (30 minute) visit is an additional$20. While at your place, the Cat Sleuth is happy to take in mail, water plants, turn on lights, and perform other basic house-sitting duties at no additional charge. Additional fees apply for giving medication and/or for each additional cat more than three (3) cats. 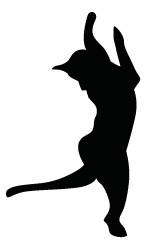 The Cat Sleuth's schedule is flexible to meet your needs; evening and weekend appointmets are available. What are you waiting for? 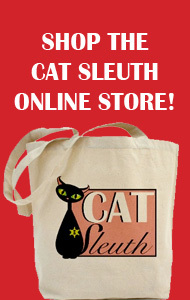 Contact the Cat Sleuth today to schedule a behavior consultation or book sitting services for your next trip.